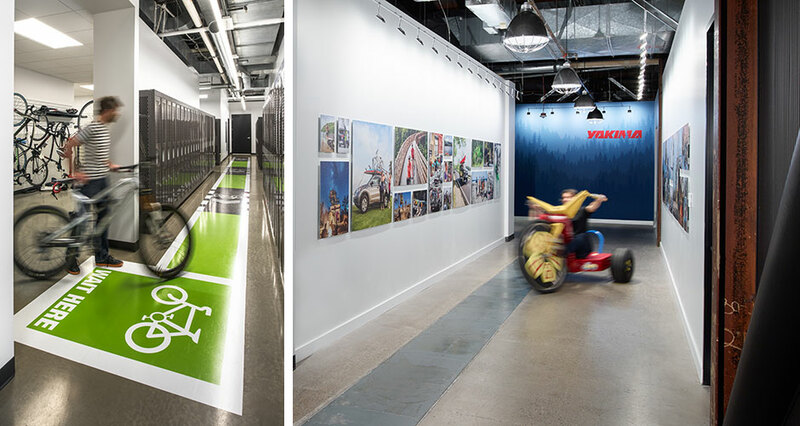 Yakima, the iconic maker of bike racks and car top cargo carriers, needed a new corporate headquarters, and tasked Mackenzie with delivering it as fast as possible. Yakima closed on their new Lake Oswego space in late August, and the extensive remodel, which entailed 60,000 SF, was ready for move-in by December 1st. Mackenzie approached the project from the earliest stages in close strategic collaboration with the builder, with every step of the project closely calibrated to ensure that the design could be executed on time—this partnership was a key ingredient in the project’s success. 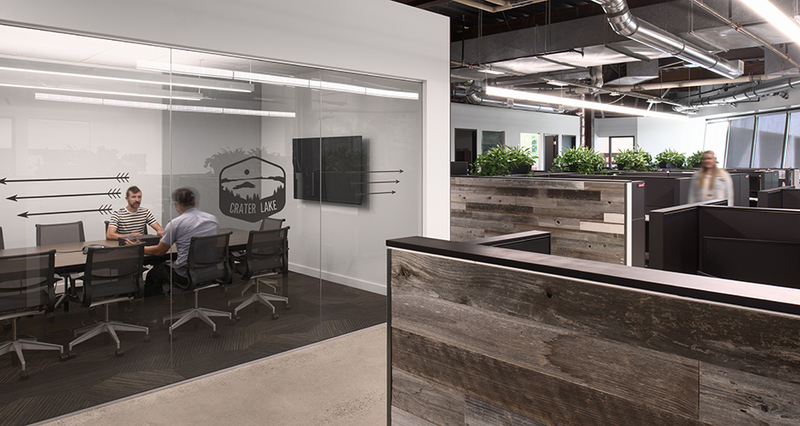 Not only did the project need to be completed in record time, the new headquarters needed to exemplify Yakima’s culture and ambition, and be a place where its employees would thrive. The building, before remodel, was an unremarkable suburban office that did little to spark the imagination or encourage organic collaboration. 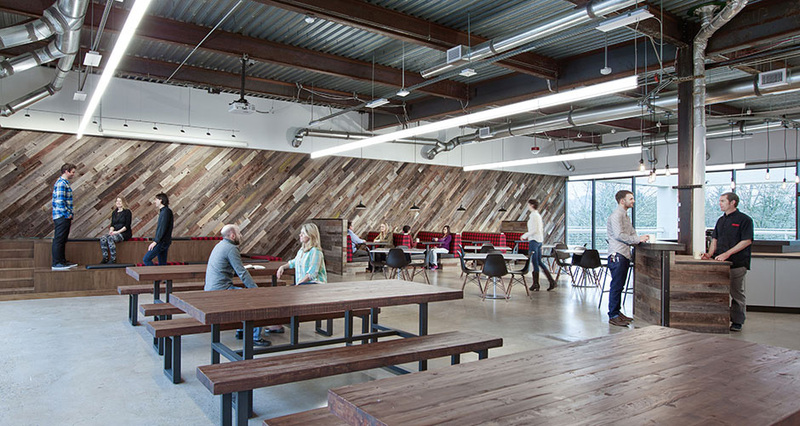 Mackenzie’s design centered on creating a place that would be human-centered, and foster creativity and wellbeing while illustrating Yakima’s philosophy and brand. Following a holistic live/work/play philosophy, the new space incorporates residential and residential-inspired furniture pieces. 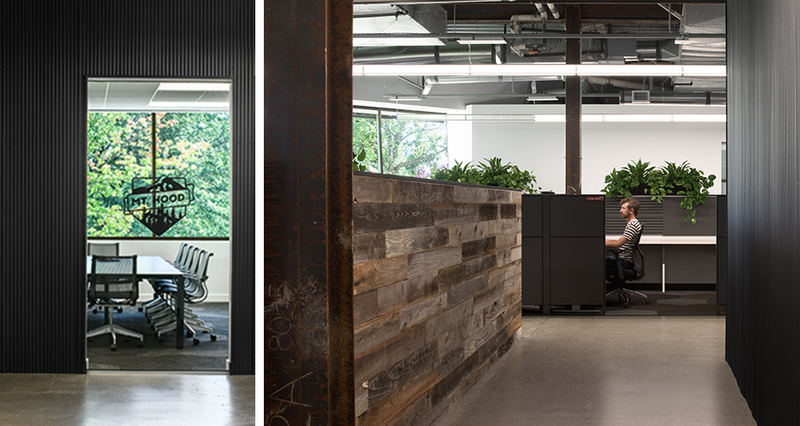 Daylight is abundant in the new office, and connection to the outdoors is accentuated through the use of natural materials like reclaimed wood. 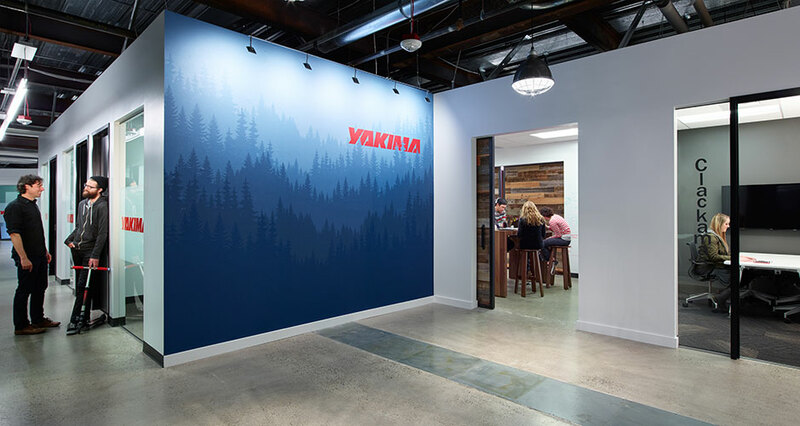 These are juxtaposed with industrial elements like corrugated metal cladding and exposed structural elements that, combined with the natural aspect, speak to Yakima’s brand. 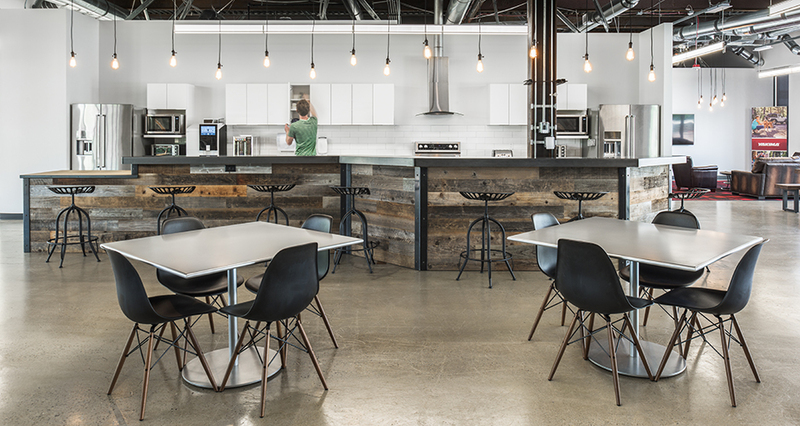 To enhance teamwork and encourage off-the-cuff interactions that can spark innovation, the design offers a myriad of collaboration spaces including huddle rooms for small group brainstorming, a large community break room, and open collaborative/meeting areas. Yakima’s outdoor-centric culture is supported by a large bike storage area and showers, and big outdoor patio areas. There’s a 10,000 SF shop space, and a showroom as well: all in all, the new headquarters is a reflection of the people and brand of Yakima.